In a renovated Gothic church on Long Island lives Jonathan Hemlock, an art professor and world-renowned mountain climber who finances his black-market art collection by working as a freelance assassin. Now, Hemlock is being tricked into a hazardous assignment that involves an attempt to scale one of the most treacherous mountain peaks in the Swiss Alps: the Eiger. His target is one of his three fellow climbers. The problem is that the people who hired him at CII can't tell him which one. 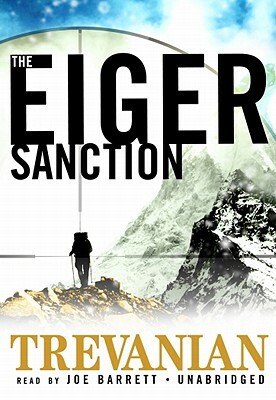 In a breathtakingly suspenseful story that is part thriller and part satire, Trevanian traces Hemlock's spine-tingling adventures, introducing a cast of intriguing characters--villains, traitors, beautiful women--into the highly charged atmosphere of danger. The accumulating threads of suspicion, accusation, and evidence gradually knit themselves into a bizarre and death-defying climax.